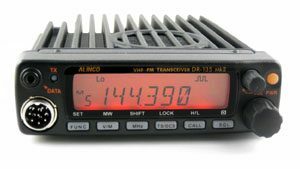 The secret “ammunition” is the Alinco DR-135 +with a built in Argent Data TNC and a GPS. This allows 50w of power and it functions as a combined Aprs Smart Tracker and Digi-Peater. These units are mounted in each of the family vehicles. Some of the vehicles also employ a WX3in1 secondary TNC with an i-Gate to become a mobile i-Gate. @n1atp #scanticspringsplash Great race and a great #hamradio team. Success! @n1atp #hamradio @knutfinn #scanticspringsplash HamRadio Comm Plan has been distributed for 2019 race to all volunteers. About 15 hours ago from ARRL's Twitter via Hootsuite Inc.
About a day ago from ARRL's Twitter via Hootsuite Inc.
@DrWesLindsey We've corrected the problem. Please try again! @mjyergin Sorry. The problem has been corrected. Please try again! About 2 days ago from ARRL's Twitter via Hootsuite Inc.
About 3 days ago from ARRL's Twitter via Hootsuite Inc.
About 2 weeks ago from ARRL - ARES's Twitter via Hootsuite Inc.
About 3 weeks ago from ARRL - ARES's Twitter via Hootsuite Inc.
Last month from ARRL - ARES's Twitter via Hootsuite Inc. Copyright © 2019 N1ATP. All rights reserved.